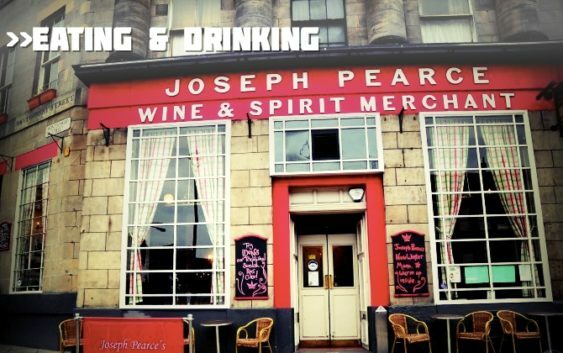 For more than a century, Joseph Pearce’s was a traditional drinking man’s boozer – but it has long since ditched the spit and sawdust feel. These days, its white-walled, split-level interior is padded out with comfy sofas and armchairs under large windows, giving it a light, airy atmosphere. The revamp of this Elm Row, street-corner establishment came about in 2008 and was the work of Anna and Mike Christopherson, the Swedish couple behind Boda and The Victoria on Leith Walk, Sofi’s on Henderson Street and Hemma on Holyrood Road. Known locally as JP’s, the Scandi-style bar can get very busy in the evenings as the after-work crowd show up for drinks and nibbles. During the day, however, it’s an oasis of artful calm in bustling Leith. Well, perhaps not so calm in the raised area to the back that’s a family-friendly haven until 5pm, stocked with toys and highchairs for parents with young children. This diverse bar also doubles up as an art gallery, with the walls adorned with works by emerging and established artists from around the world. If you want to eat, you’re in the right place, too. A bistro-style menu mixes with more traditional pub fare and, if the sun is shining (hey, don’t count on it), there’s the option of dining al fresco at one of the tables outside. As you’d expect, there’s Swedish delicacies aplenty, such as meatballs that change seasonally and the ever-popular pancakes. If you happen to visit during the weekend, don’t miss the brunch menu. All in all, JP’s is a warm and welcoming bar with a mixed clientele, and boasts a better class of pub food than you will find at most places in the Leith Walk vicinity. Granted, it’s a little pricey drinks-wise – but that said, they have to do something to keep the riffraff out.